I'm sure I've done a lot in the last 4 weeks, and yet it went by so fast it seems like just yesterday was mid September. It's amazing that almost 4 weeks have gone by since I last posted. I really don't have any good reasons for that - other than the normal busyness of life. I've been spinning, knitting and homeschooling... but haven't made the time to post it here. 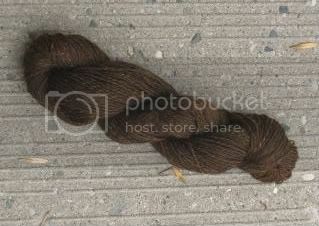 260 yds 3ply sport weight. Spun from "Happy Vamp" batts from Knitty and Color. Love her colors! 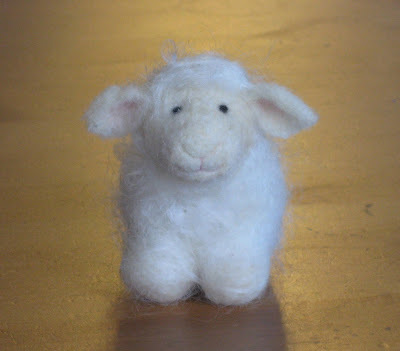 A needle felted sheep. I melt every time I look into his felted sheepy eyes, even though I made them myself! Pattern by Bear Creak Designs, wool from Natchwoolie. 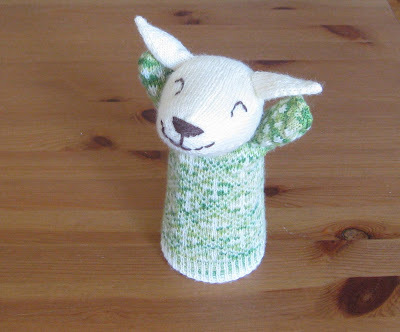 A colorworked Estonian Sheep Puppet. While I do like this, I'm not overly happy with my yarn choice. The pattern doesn't pop as there is less contrast than I initially thought there would be with the white and multigreen yarn. And somehow his ears look less than sheepy. And I've started a few new projects: spinnng my Wisteria Spindies Box and making a pair of Domo mittens for my dd. 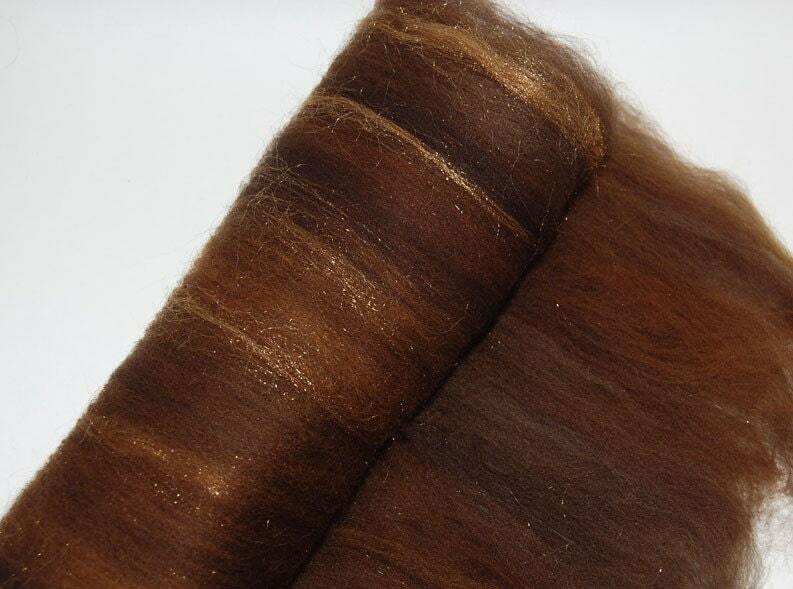 I love the brown yarn, the gorgeous roving, and that awesome needle felted sheep- too cute!! that hand puppet has been on my want-to-knit list for ages- I just have never got my hands on the pattern. Yours turned out beautifully! !